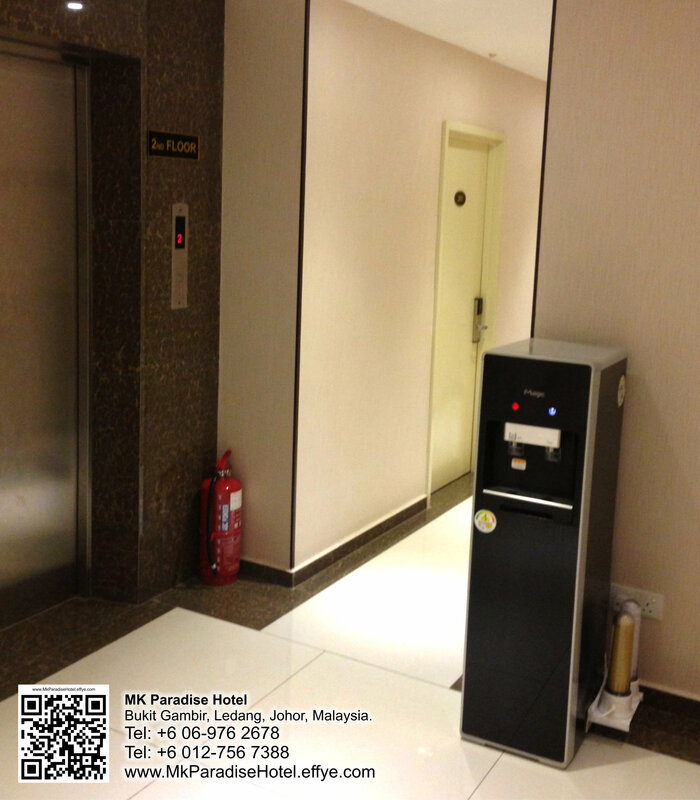 Locate at Bukit Gambir, Ledang, Johor, Malaysia. 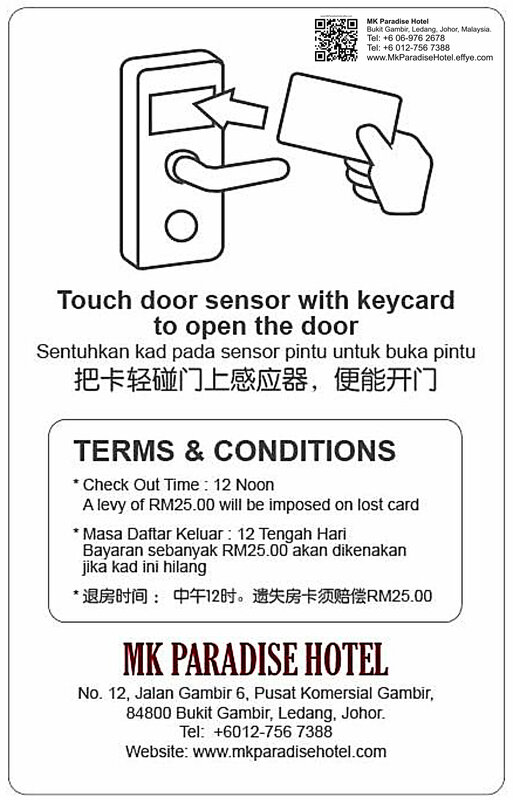 No 12, Jalan Bukit Gambir 6, Pusat Komersial Gambir, 84800 Bukit Gambir, Ledang, Johor, Malaysia. 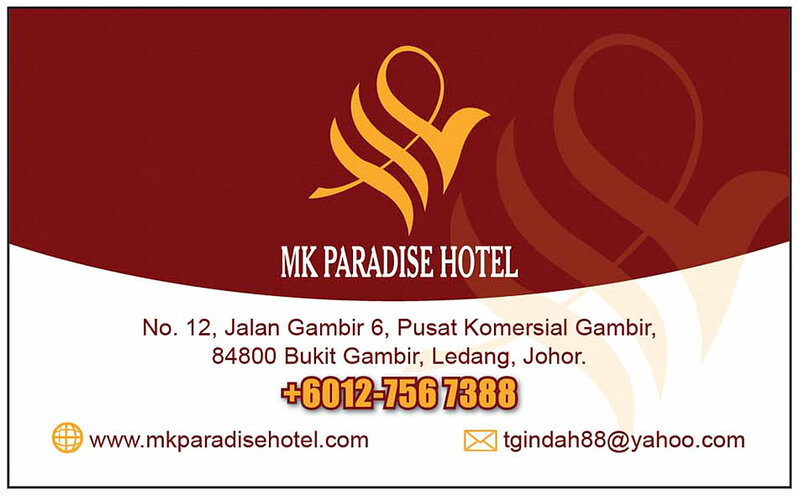 No 12, Jalan Gambir 6, Pusat Komersial Gambir, 84800 Bukit Gambir, Tangkak, Johor, Malaysia. * Room Rates are Subject to Change without Prior Notice. 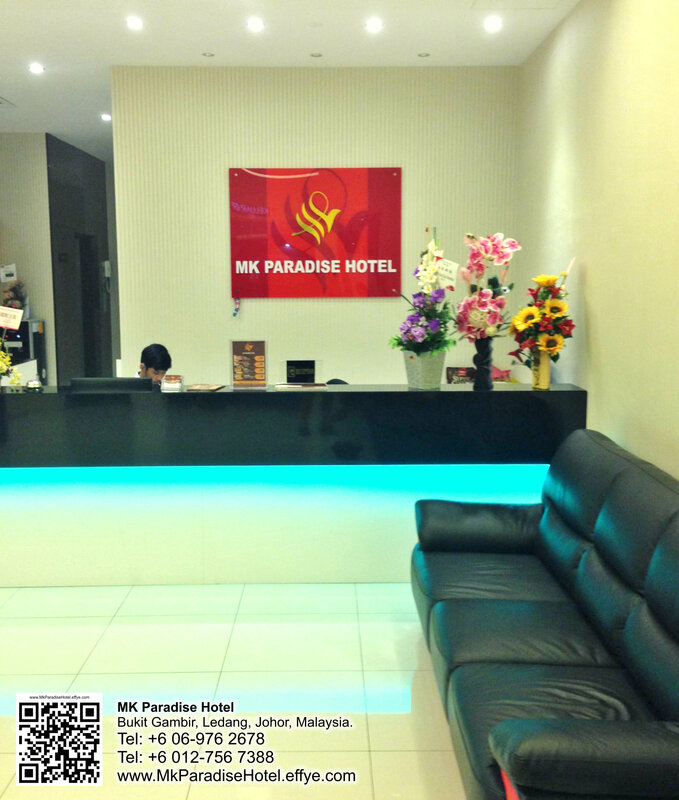 Hotel Mk Paradise Hotel: The most comfortable Budget Hotel in Bukit Gambir, Muar, Johor. 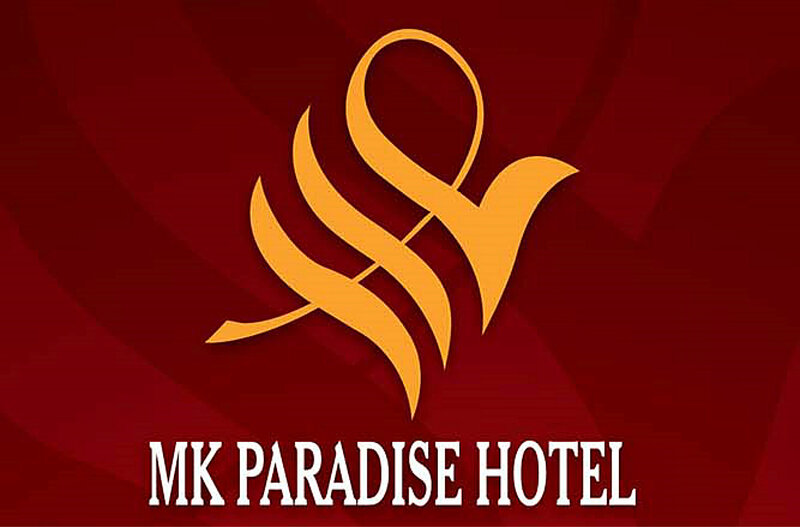 Mk Paradise Hotel is a newly opening hotel. 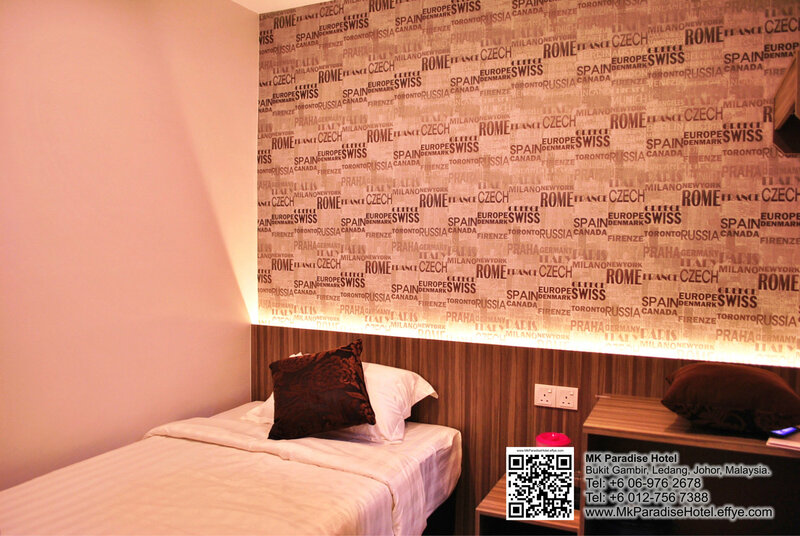 It is strategically located at the heart of Bukit Gambir town. 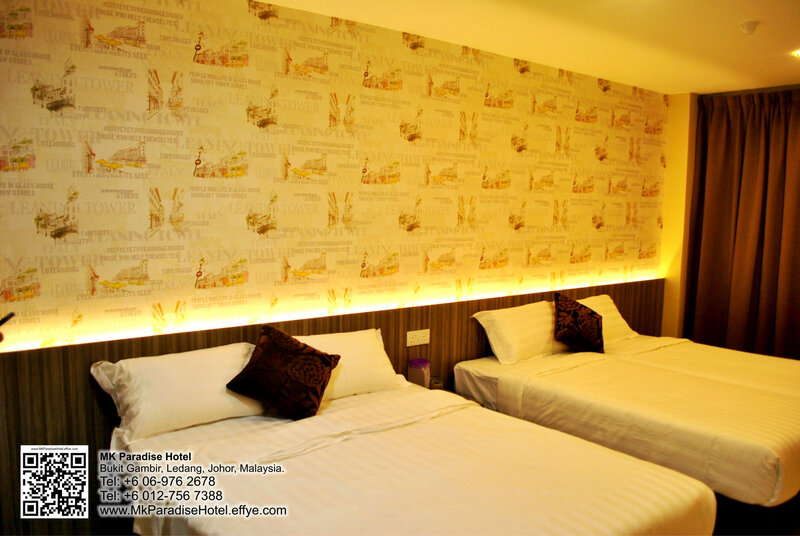 The hotel’s strategic location ensures that guests can quickly and easily reach local points of interest.It is surrounded by major banks (CIMB bank, Bank Simpanan Nasional, Agro Bank). 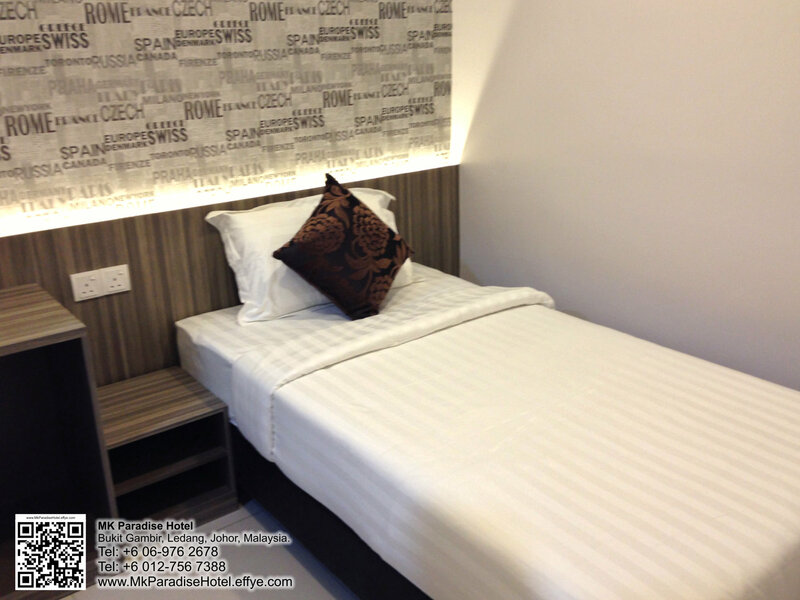 It is 1 minutes away from hotel to the Ecosave Hypremarket, KFC, Marrybrown, 24 Hour mamak stall, Chinese restaurant and etc. 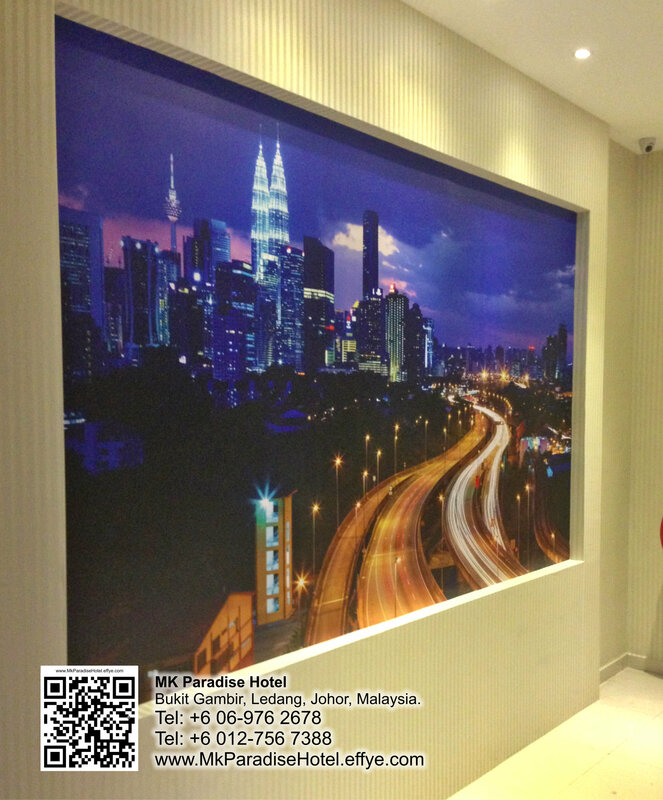 The hotel also nearby Bukit Gambir Tol round 1 KM, 10 minutes to Tangkak & Sagil, 20 minutes to Muar & Melaka. The hotel consisting 30 rooms with its hip and stylish decoration and is suitable for all families, couples or single travelers. 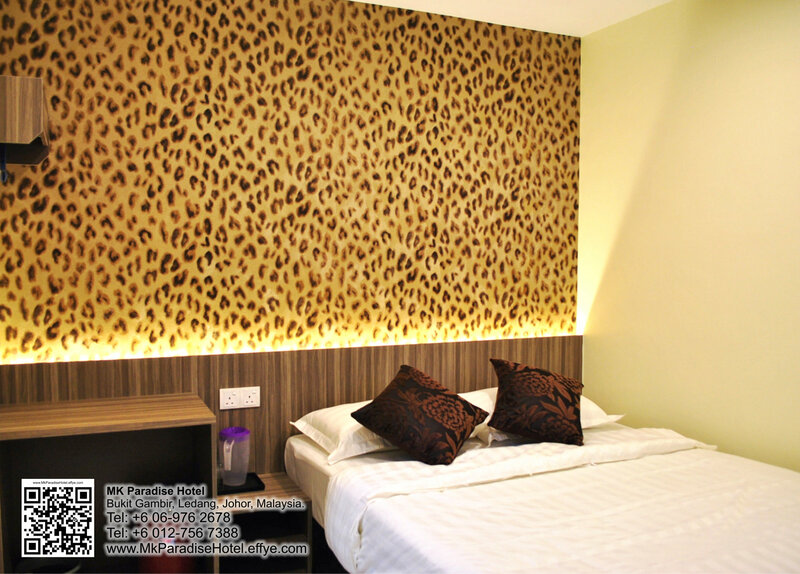 Each room is equipped with its own individually controlled air-conditioner, LED TV with satellite channels and attached bath room with hot & cold water shower. An iron and a hairdryer is available on request. 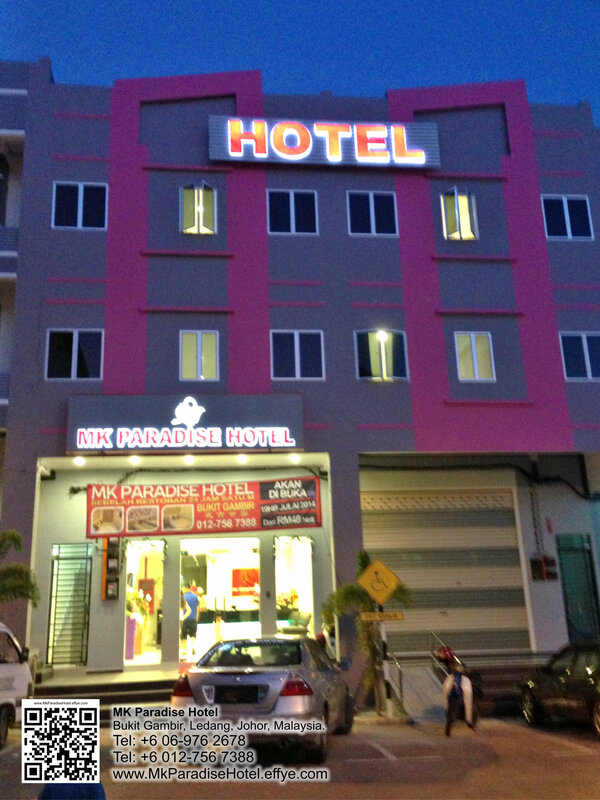 Mk Paradies hotel also offers many facilities to enrich your stay in Bukit Gambir Muar. Guests of the hotel can enjoy on-site features like elevator, operares a 24 hour reception, family room and WIFI access both in every room and also public areas. 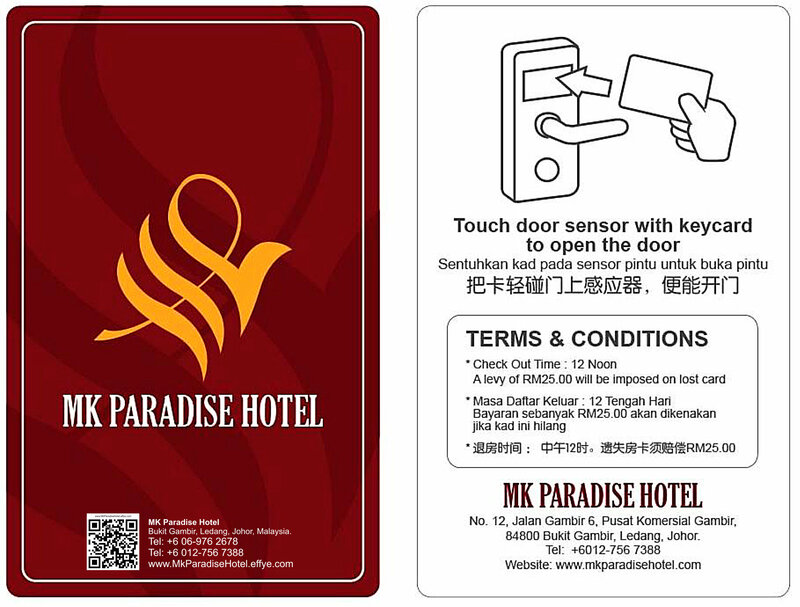 With our attractive room rates and hotel prices business and leisure travelers are most welcome to enjoy your stay with us in Hotel MK PARADISE. The hotel features 30 beautifully appointed guest rooms. All of which exude an atmosphere of total peace and harmony. 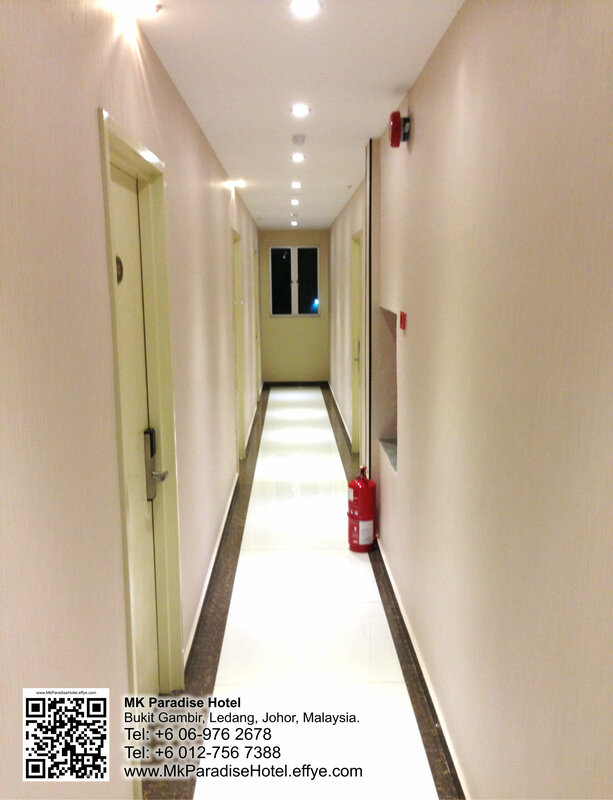 Enjoy unparalled services and a truly prestigious at the hotel. Besides, the hotel’s host of recreational offerings ensures you have plenty to do during your stay. 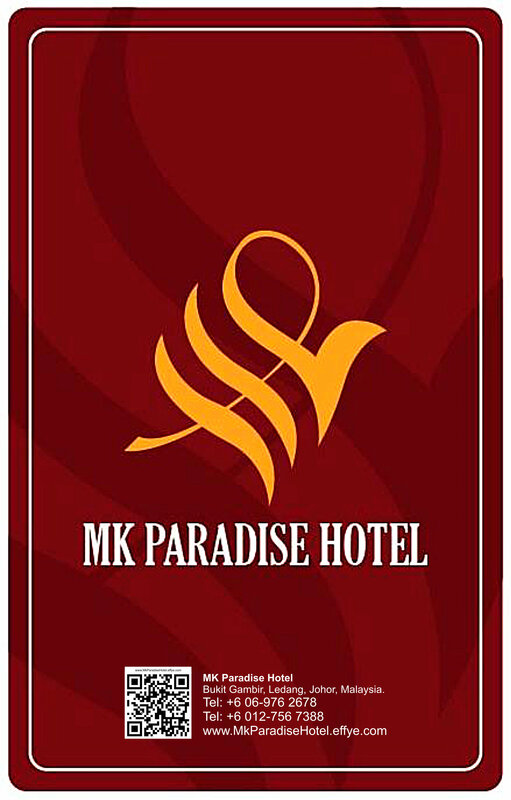 At MK PARADISE Hotel every efforts is made to make guests feel comfortable. To do so, the hostel provides the best in services and amenities. 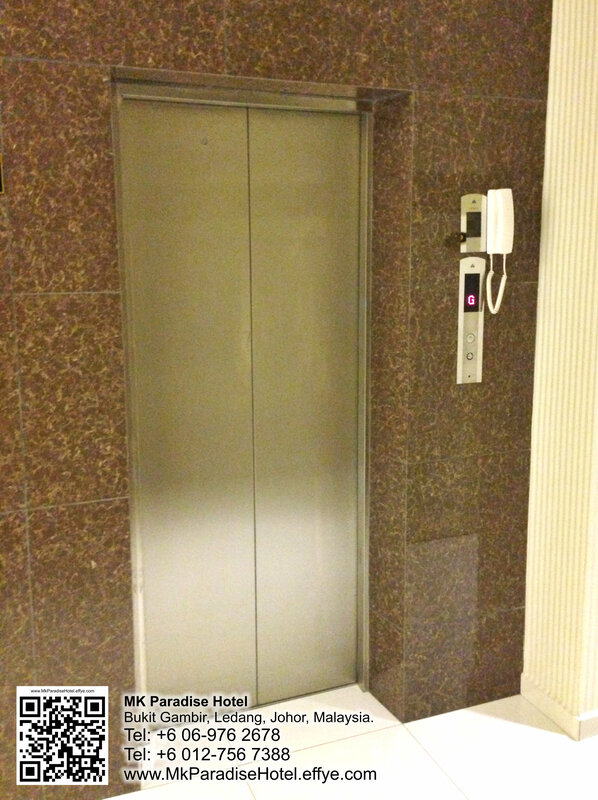 Guests of the hotel can enjoy onsite features like elevator, business center, Wifi in public areas, 24 hours CCTV, room service, 24 hours receiption. 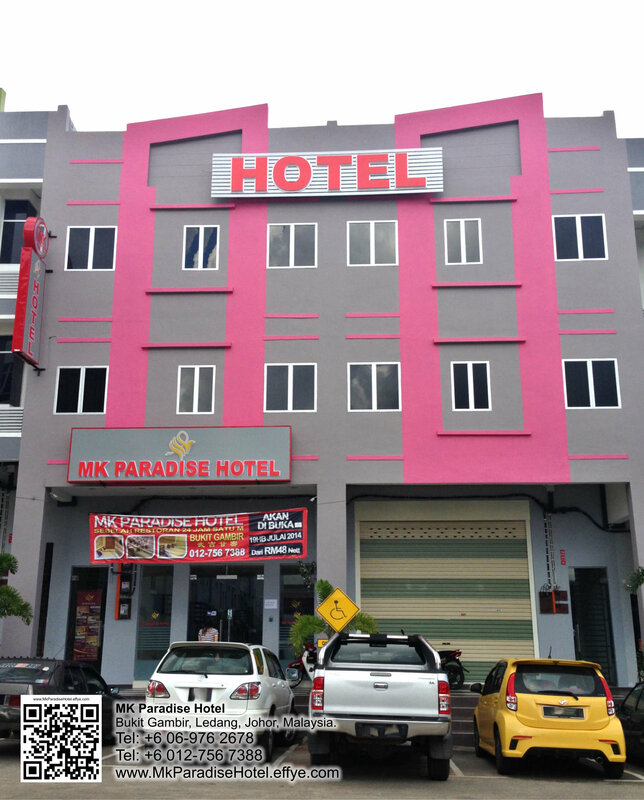 Whether you’re a tourist or travelling on business, Mk Paradise Hotel is a great choice for accommodation when visiting Bukit Gambir Ledang, Johor, Malaysia. Guests can enjoy easy access to all that the lively city has to offer. 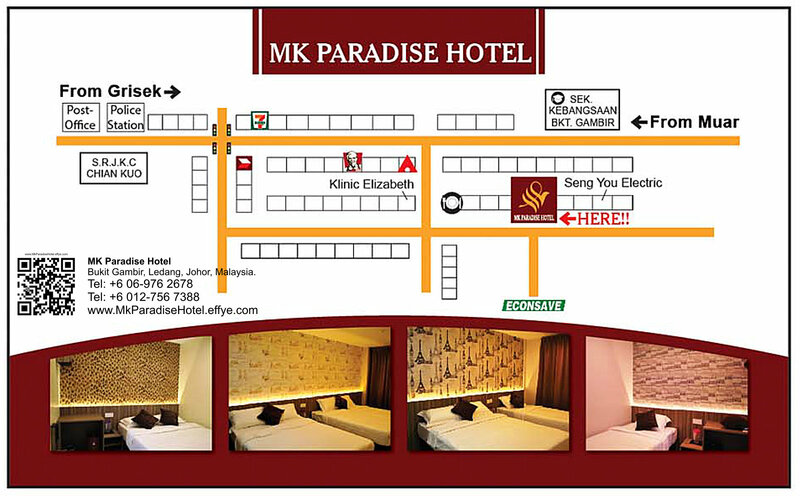 With an ideal location and facilities to match, MK PARADISE Hotel hits the spot in many ways.